The Georgia Genealogical Society is pleased to sponsor the presentation "Harnessing the Power of Indirect Evidence" with Susan Sloan on May 20th, 2013. Summary: What do genealogists do when there is no direct evidence to confirm relationships on their family tree? The genealogical proof standard is a process that includes gathering, evaluating and sorting evidence, then summarizing it to come to a logical conclusion. This presentation uses two case studies to illustrate the use of several kinds of indirect evidence in proving relationships. Presenter: Susan Sloan is a professional genealogist whose areas of concentration are teaching family history classes, conducting private lineage research, and preparing lineage applications. 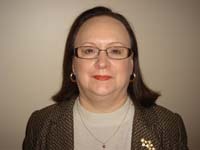 She has authored articles in several genealogical publications in Georgia, Florida, North Carolina, and South Carolina. She holds Bachelor of Science and Master of Education degrees from Georgia State University. She is a member of Georgia Professional Genealogists, and is a past President of the Georgia Chapter of the Association of Professional Genealogists. She is currently President of the Georgia Genealogical Society and a Trustee of the R. J. Taylor, Jr. Foundation. She has given over one hundred presentations and classes at thirty-seven different venues. After registering you will receive a confirmation email containing information about joining the Webinar. You will use your unique URL in your confirmation email to logon to the live broadcast on the 20th of May.